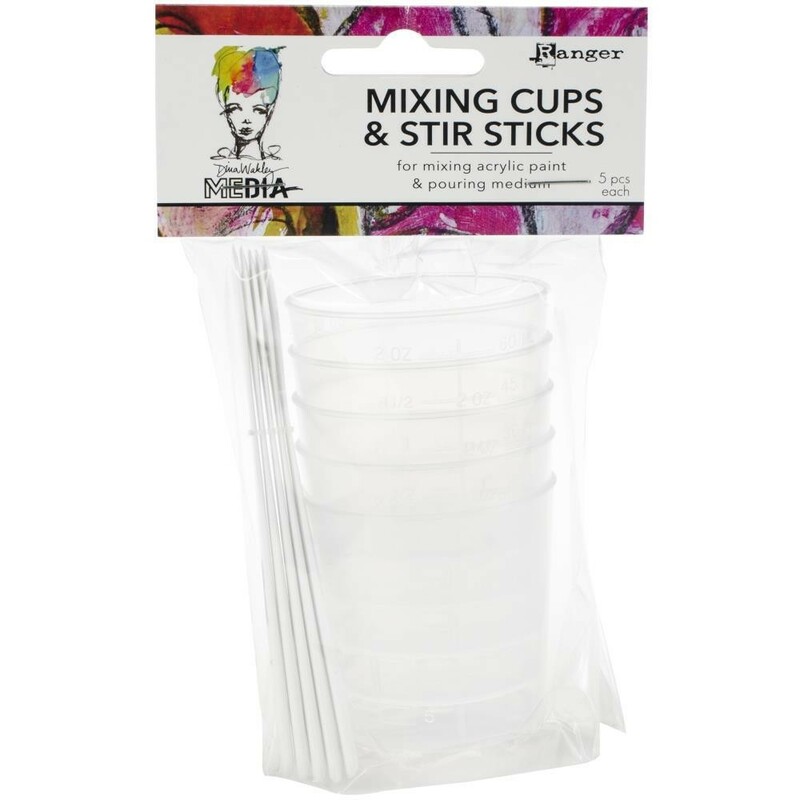 Dina Wakely Media Mixing Cups and Stir Sticks are perfect for mixing small batches of Dina Wakely Media Acrylic Paint and Pour ing Medium. Each mixing cup is marked with various measurements for accurate mixing. Use the stir stick to the mix. Reusable, wash immediately after use. Use with Dina Wakely Media acrylic paint and pouring medium. This package contains five 2 oz mixing cups. Imported.